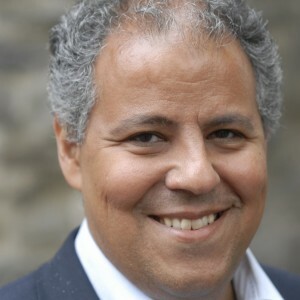 Pistelli, L., Bilal, S. 2014. 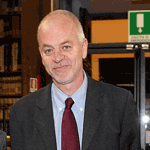 Interview with Lapo Pistelli, Italy’s Deputy Minister of Foreign Affairs. GREAT Insights, Volume 3, Issue 6. June 2014. Private sector can significantly contribute to sustainable and inclusive development. Yet, evidence of what works for private sector development, as well as which partnership models with the private sector for development are effective, is still scarce. What is the Italian experience and what key lessons do you draw from it? Pistelli: For too long private sector contribution to partner countries’ development has been looked upon with suspicion. But in recent times it has become clearer that “economic growth and development are not two distinct goals, and should not be approached in distinct ways. Development policies should focus on achieving inclusive and sustainable growth”. Inclusivity and sustainability should therefore be the most important elements of economic growth. But the latter cannot be achieved without a strong involvement of the private sector. In the past this reasoning did not seem to be quite obvious, that is why, in my opinion, there is still a lack of evidence of what works and what does not work for the private sector in a development perspective. Quite unfortunately, for many years, both policy makers and civil society did not reflect on the role of the private sector in fostering development, so we have to welcome every initiative that can bring an added value to the creation of a new narrative on this subject. If you think of the Italian experience, one cannot forget the path that led us to full development during the last century. The role of small and medium sized enterprises was essential to boost growth and create employment. To this day small and medium enterprises (SMEs) are a fundamental component of the Italian economy. I do believe that our economic model has a lot to offer, especially as regards sustainability. The European Commission has just released its Communication on the role of the private sector in development. How do you assess it? What do you see are the key priorities and main challenges? 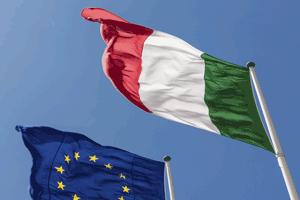 Italy evaluates the recent Communication and the recognition made by the European Commission on the increasingly primary role played by the private sector in the fight against poverty very positively. We welcome the introduction of a new approach which, in addition to the traditional tool of the “Private Sector Development”, involving partnerships with governments and local business for the creation of an enabling environment in partner countries, foresees a more active engagement of the European private sector in development projects as a financing partner, through its involvement in other relevant areas of intervention such as agriculture, energy, infrastructure and “green” sectors. We also believe that a strong partnership between the private sector and NGOs should be encouraged in order to better work towards the achievement of sustainable forms of economic and social growth. In this context, Italy strongly supports the role of European SMEs, cooperatives and social enterprises and their capacity, if well guided, to bring an inclusive development model in partner countries. What do you think the EU needs to improve in terms of strategies, capacities and ways of working, both with the private sector and with EU Member States, to realise its ambitions? The Commission Communication on the role of the private sector in development points out several important instruments and principles to follow in order to maximise the impact of the EU aid policies for a more inclusive and sustainable growth in developing countries. Some examples include the flexibility in the support strategies on the ground, based on local contexts and fragile situations; the strengthened coordination among all stakeholders (EU headquarters, Member States, EU Delegations, etc. ); the structured dialogue between the European and local private sector; and the increased use of innovative financial instruments. Making such actions and tools operational should be a priority if we want to maximise the EU aid impact, in line with the principles of the Agenda for Change and the recommendations of the Global Partnership for Effective Development Cooperation. As far as the Member States are concerned, we should work closely together with EU Institutions as well as with partner countries, in order to fully implement the Commission Communication. Of course we must respect and promote the ownership principle, which will be crucial for an efficient application on the ground of the strategies outlined by the Communication. As regards civil society, we should not ignore the criticisms recently expressed about the Communication by some important networks and NGOs. At the same time, we must understand that the implementation of the Communication can prevent the private sector from developing unsustainable and harmful ways of doing business. The private sector is already providing jobs and growth in partner countries, we cannot close our eyes and pretend that this is not happening. Therefore the EU must facilitate an active involvement of civil society organisations through the establishment of periodical consultations on both political and technical levels. What role do you see for Italian companies investing in developing countries? How can Italy and the EU best promote and productively channel sustainable and inclusive investments? Italian companies are already strongly contributing to private investments in developing countries. This is true both on a large scale, with multinationals, and on a smaller scale, thanks to the work of SMEs. It is then necessary to develop a differentiated approach that can promote a sustainable way of doing business for all types of companies. Italy has a lot of experience in the agribusiness sector thus in this field Italian SMEs and cooperatives can bring knowhow, technology and resources. The Italian Cooperation, which is also very active in this sector, developed an interesting initiative in Ethiopia called “Filiere Agricole in Oromia”, aimed at the rural development of the region of Oromia. In the framework of this project, the Italian company PEDON, specialised in the processing and distribution of cereals and legumes, signed an agreement with five Ethiopian cooperatives. Thanks to the agreement, the Italian company will supply the seeds to the local cooperatives, and will then buy cereals and legumes directly from them, without going through intermediaries. The project is a concrete example of private sector engagement that was made possible thanks to a development cooperation initiative. Can Italy promote its “enlightened interest” towards win-win public private partnerships that benefit both Italian companies and developing countries, without compromising development objectives? As you rightly suggest, the goal of a new “enlightened” development policy must be promoting a responsible role of the private sector, in line with general development objectives. That is possible only if policy makers and development agencies provide strategies and tools to the private sector both in Europe and in partner countries. Italy can promote fruitful public private partnerships, especially as regards access to credit and collaboration between Italian companies and local ones. For example, through an instrument regulated by Art. 7 of l. 49/1987, the Italian Cooperation offers subsidised loans to Italian companies participating in joint ventures with local partners in a list of developing countries (Low and Lower-Middle Income Countries, Least Developed Countries and Highly Indebted Poor Countries) in several sectors such as industry, agriculture, education, microfinance, health, energy and environment. In fact, I do believe that the key for a successful involvement of European companies in initiatives with a true impact on development is giving them the opportunity to work with local companies in partner countries. Each time a European company develops a responsible and sustainable business with a company from a development country, we get closer to achieving sustainable and inclusive growth.